Two propositions are on the June 7 ballot. They reflect county board discussions from last year. Watch the video below to learn more. PROP B – FIVE DISPENSARIES? 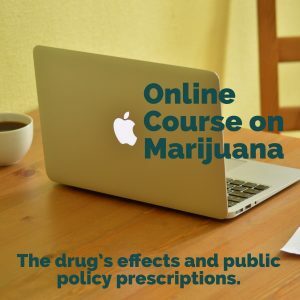 – Marijuana Is Neither Safe Nor Medicine! For everyone who is helped by medical marijuana, probably 100 are harmed personally in some way, and in turn inflict harm on others. It has no accepted medical use. Isolated components of the plant like CBD (cannabidiol) have shown promise in treating children with seizures. At least it helped in 39% of those treated, but in 61% it ranged from no help, to making things worse, to two deaths. Still CBD is under study by the FDA on a fast track basis. CBD is non-psychoactive and can offset the effects of THC, the psychoactive component, but today’s pot has been genetically altered to be high in THC and very low in CBD, because people just want to get high. Cannot be administered properly under medical supervision. Legitimate medicines have known compounds, potency and dosage, come from an approved facility so you know that pesticides, fertilizers, etc are absent. They must be reproducible in a uniform manner. Marinol is legal marijuana in pill form available with a doctor’s prescription, with a maximum THC content of 10 milligrams. River City Phoenix, I am told, wants to open 5 dispensaries in Yuba County. They offer marijuana products in various forms to smoke, eat or vape, all named and improperly packaged to appeal to kids. The potencies range from about 15% to as high as 96%, up from 4% in 1996, and the milligrams are 30 times the legal limit for Marinol, which has proved fatal in numerous cases. There is no way to properly administer this drug. Permanent structural and chemical damage to the underdeveloped brains of anyone under 25, leading to loss of IQ by up to 8 points by age 38 for those beginning in the teens. Psychotic breaks leading to violent acts including murder and suicides. Mental illness including schizophrenia, paranoia, bi-polar disorder and suicidal depression. 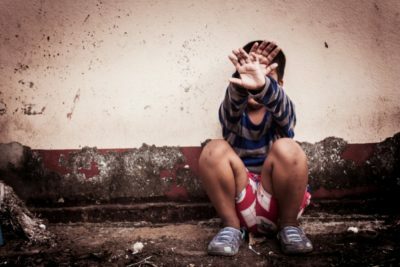 Addiction – 17% of adolescents, 9% of adults. 25 to 50% of habitual users. Physical Health Problems – Because marijuana is fat-soluble and stays in one’s system longer than any other drug, it can cause testicular cancer, chronic bronchitis, DNA damage and myriad respiratory problems. Birth Defects – Possible with either male or female use of pot, particularly pregnant or breast feeding mothers. Marijuana causes mutations to sperm and DNA damage which can affect future generations. Traffic deaths have doubled owing to marijuana impairment. One in eight drivers are impaired by marijuana to varying degrees. People are even killed on sidewalks. A recent study by UC Davis has shown that heavy adolescence use leads to on a downward trend economically by mid-life, and more relationship problems. Another study just published showed that 40% of heavy marijuana users don’t live to be 60 years old. Because of adverse impacts on the developing brain, marijuana use inflicts more harm on young people. But seniors should be aware that marijuana weakens the immune system, elevates the risk of cardiac arrest and strokes, and can cause chronic bronchitis in addition to impairing one’s ability to drive safely. 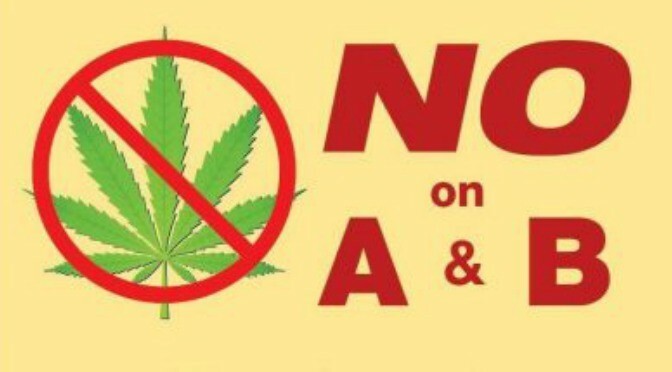 PROP A – RIGHT TO GROW 60 PLANTS. Environmental Disaster! Marijuana consumes 6 gallons of water per plant/per day. The pesticides and fertilizers seep into and contaminate the ground water, while the rodenticides not only kill rodents but deer, bear and all that feed on the remains. The pungent smell of marijuana is polluting neighborhoods, while the grow sites become magnets for crime. The ability to grow attracts undesirable elements from all over America, threatening public safety. The diminished quality of life also adversely affects real estate values. There are roughly 1200 joints per lb, and one plant can produce 1 to 5 lbs of marijuana. Sixty plants would therefore produce 72,000 to 360,000 joints. This is not about medicine. It’s all about money. Neither our youth or environment have a future unless we stop the proliferation of marijuana, nor do we as a nation. 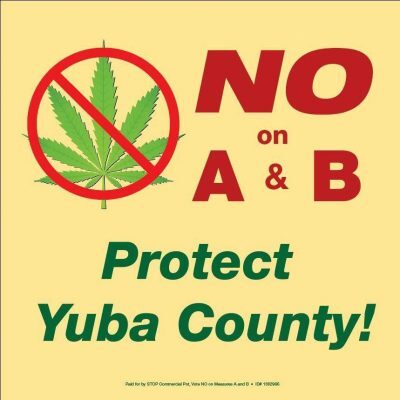 Yuba County, just vote no on Prop A and B.